The two Window Server Edition 2016 and 2019 have new features, and that has made it possible to store data in the name of storage migration. The migration service helps keep inventory when moving from one platform to another. Other essential details such as security settings and settings from old systems to the new server installation. The article will try to explain what is new and any changed functions in the storage systems of Windows Server 2016, Windows Server 2019, and other semiannual releases. We will start by highlighting some of the features added by the two server systems. The Windows Admin Center is the central location where an App operating like a browser handles the server functions, clusters, Windows 10 PCs, and hyper-converged infrastructure containing storage locations. The Admin center does this as part of the new server configurations. The Windows Admin Center is different and runs on Windows Server 2019 and some versions of Windows, we covered it first because it is new and we did not want you to miss it. The Storage Migration Service is the latest technology making it easy to move servers from an old to a new server version. All the events take place via a graphical interface displaying data on the servers and transfer data and configuration to new servers and then optimally moves old server identities to the new one to match apps and user settings. You will be able to store up to 10X more data on the same storage space using deduplication and compression of the ReFS system. You only need to turn this to on using a single click on the Windows Admin Center. The different storage sizes with an option to compress make the saving rates to increase. The multi-threaded post processing will keep performance impact low. However, it supports a volume of up to 64TB and with each file reaching 1TB. Open up more performance with the native Storage Spaces Direct support for continuous creation of memory modules including the Intel Optane DC PM and NVDIMM-N. Use persistent memory as your cache to speed up the active working set or use it as an extra space needed to facilitate low latency. Manage persistent memory the same way you would any other storage device in Windows Admin Center or PowerShell. The all new software resiliency option inspired by RAID 5 + 1 helps survive two hardware failures. The nested resiliency, the two node Storage Spaces Direct cluster should offer continuous accessible storage for programs and virtual machines even when one server node fails. Use a low-cost USB flash plugged into your router to act as a witness between two servers in a cluster. If the server is down, the USB will know which of the servers has more data. Managing and monitoring storage spaces direct with the newly built dashboard gives you an opportunity to create, delete, open and expand volumes with a few clicks. Follow performances of IOPS and IO latency from the entire clusters to the individual hard disks and SSD. You will see what your server was up to in its resource utilization and performance using the built-in history feature. With more than 50 counters that cover memory, computation, storage and network are collected automatically collected and left in the cluster for a full year. You do not find anything to install or configure or start; things will work in this feature. Get to the level of multi-petabyte scale which makes sense in media servers for backup and archiving purposes. Windows Server 2019, storage spaces direct supports up to 4 petabytes (PB) which is the same as 4,000 terabytes. Other capacity guides are increased as well; for instance, you can create volumes reaching 64 and not 32. The clusters can be stitched together into a set to make the scaling that fits within one storage namespace. You are now able to create Storage Spaces Direct Volumes that are part mirror and part parity. For example, mixing RAID-1 and RAID -5/6 to harness the advantages of both. Windows Server 2019, the performance of mirror accelerates parity is twice that of Windows Server 2016 due to optimizations. Get to know which drives have abnormal latency using proactive monitoring and the built-in outlier detection an inspiration from Microsoft Azure. You can see the failing drives labeled automatically in the PowerShell and Windows Admin Center. The Admin can manually change the limit of allocations of volume in Storage Spaces Direct. Delimiting is done to increase fault tolerance in specific circumstances with added management considerations and complexity. Some improvements on how storage and replica logs track replication improve replication throughout the latency period as well as Storage Spaces Direct clusters that replicate. To get the increased performance, all members of the replication group must run Windows Server 2019. Mount a temporary snapshot of the replicated storage on destination server for testing or backing up purposes. Supporting the graphical management of replication is made possible via the Server Manager Tool. This involves server-to-server replication, cluster-to-cluster and stretch cluster replication. Changes asynchronous stretch cluster behaviors for automatic failover to take place. Windows Server does not install the SMB1 client and server by default while at the same time the ability to authenticate guests in SMB2 if off by default. More options for security and application compatibility were added including the disabling oplocks in SMB2+ for old applications. This also covers the need for signing encryption on every connection from the client. You do not have to choose between the advantages of a modern file system with ReFS and Data Deduplication. Anytime you enable Data Deduplication, enabling ReFS is also possible now. Windows Server 2019 can prevent the File Resources Manager service from creating a change(USN) journal on storage volumes. This is to create and conserve more space on every volume; however, it will disable real-time classification. This is the same effect that takes place in Windows Storage Server, Version 1803. Server Version 1709 is the first window server release with a Semi-Annual Channel, which is a channel that fully supported in production for 18 months and a new version coming in every six months. Supported the management of graphical applications managing replications. You access it via Server Manager Tool. The storage spaces direct facilitate the availability and scalability of storage using servers with local storage. This implies that deployment and management software that control storage systems and unlock the use of new classes of storage devices. The devices include SATA, SSD, and NVMe disks that may not have been possible with clustered Storage Spaces with Shared Disks. What Value Does the Change add? The Storage Spaces Direct allows service providers and enterprises to use industry standard servers with local storage. The idea is to build highly available and scalable software-defined storage. Storage Spaces Direct Removes the need to have a shared SAS fabric which simplifies deployment and configuration. This means the server uses the network as the storage fabric leveraging the SMB3 and SMB Direct (RDMA) for both high speed and low latency as well as good use of the processing unit. Enables the storage, block-level, stretching of failover clusters between sites, as well as synchronous replication between servers. Synchronous replication enables mirroring of data in physical sites with consistent volumes to ensure no data is lost at the file system level. Asynchronous replication may increase the possibility of data loss. Use Microsoft end-to-end software for storage and clustering such as Hyper-V, Scale-Out File Server, Storage Replica, Storage Spaces, ReFS/ NTFS, and Deduplication. You can use the storage quality of Service (QoS) as a central monitor for end-to-end storage performance and develop management policies using Hyper-V and CSV clusters in Windows Server 2016. You will be able to change the QoS policies on a CSV and assign one or more virtual disks on Hyper-V machines. The storage will automatically adjust to meet the policies and workloads that keep fluctuating. Each policy can give a minimum reserve or create a maximum to be used when collecting data. For example, a single virtual hard disk, a tenant, a service or a virtual machine can be used. If you have several virtual hard disks sharing the same policy and performance is shared to meet the demands within the policy’s minimum and maximum settings, it means that the policy can manage virtual hard disks, a single or multiple virtual machines that constitute a service owned by a tenant. This is a new feature in Windows Server 2016. The management of minimum reserves and monitoring flow of all virtual disks over a cluster using a single command and central policy-based management are not possible in the previous Server releases. Updated Before Windows Server 2016, files with 1TB could not deduplicate. 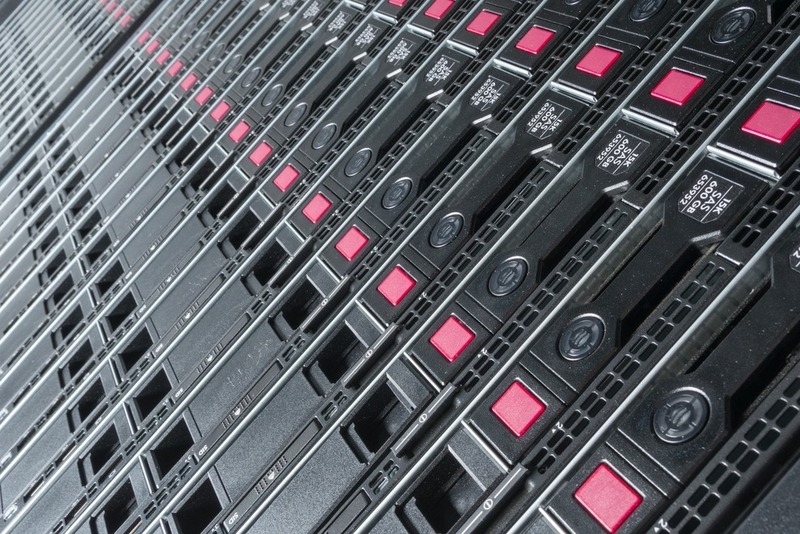 Server 2016 supports deduplication of files up to 1TB. Windows 10 and Windows Server 2016 client connections to the Active Directory Domain Service, the SYSVOL and NETLOGON share domain controllers that require SMB signing and authentication via Kerberos. What does this Change Add? If the SMB and mutual authentication are not available, a Windows 10 or Server 2016 will not access the domain-based Group Policy Scripts. It is also good to note that the registry values of the settings are not present by default, the hardening rules will apply until a new policy change comes in through Group Policy or any relevant registry values. The added changes to notifications are there when Work Folder server is running on Windows Server 2016, and the Work Folder is on a client running Windows 10. Windows Server 2012 R2 when the changes in files are synchronized to Work Folder, clients will get notified of the impending changes and wait for at least 10 minutes to the update. When running Windows Server 2016, the Work Folders will immediately notify the Windows 10 client and the synchronization changes immediately. This is a new feature in Windows 2016 and the client accessing the Work Folders must be a Windows 10. In case you are using older clients, or if the Work Folder is on Windows Server 2012 R2, the client will poll every 10 minutes for any new changes. The next cycle will be the ReFS that offer support for large scale storage allocation with varying workloads, reliability, resilience and scalability for your data. What Values Does the Change Add? Introducing a block of cloning and substantial improvement of VM operations such as. vhdx checkpoint merge operations. The ReFS tool enables the recovery of leaked storage and helps keep from being corrupted. These functionalities are new in Windows Server 2016. With so many features available to Windows Server 2019, the article covered the fully supported features. At the time of writing this post, some features were partially supported in earlier versions but are getting full support in the latest Server versions. From this read, you can see that Windows Server 2019 is a good upgrade that you can experience.